Starting and returning at Pleasant Point, this varied and interesting ride takes in the aptly named township of Pleasant Point, offers great views across rolling farmland and links to some interesting and unique local highlights, including the Pleasant Point Steam train and ancient Maori rock art sites. Enjoy this ride of approx. 1 hour. Offering plenty of family activities year round, Pleasant Point is strongly linked with several local legends. The Pleasant Point Steam Train, Museum & Railway operates steam locomotives and one of only two Model T Ford railcar replicas in the world. For almost one hundred years, the Fairlie branch line railway passed through Pleasnt Point, closing in 1968. The heritage line utilises 2.5 km of track along the branch's old route. The fabulous and justifiably famous Denheath Custard Square was born in Pleasant Point, visit its birthplace just a few steps away from your start point, across the road at Legends Café. Also well worth a visit are the Opihi Vineyard and Café and the ancient rock art sites dotted through the network of limestone cliffs and caves that typify the local geography. Another proud piece of local history is the O’Rourke Brothers Taxidermists, a second generation family business with a 55+ year history of high quality taxidermy for a wide range of local and international clientele. On your return from your ride, relax with a drink or a meal at Steam on Inn or the Pleasant Point Hotel. Find out more about things to see and do in Pleasant Point here. 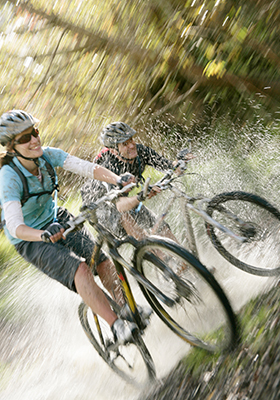 Start your ride in Pleasant Point in the parking area by the Pleasant Point Steam Train, Museum & Railway. In addition to parking spaces there is also an information kiosk and public toilets nearby. Just past the parking area in front of the Pleasant Point Steam Train Station, turn right at the Pleasant Point Hotel and ride down Te Ngawai Rd. Established about 1862, the hotel is still popular today, offering accommodation and hearty meals in Nelly’s Restaurant on the ground floor. 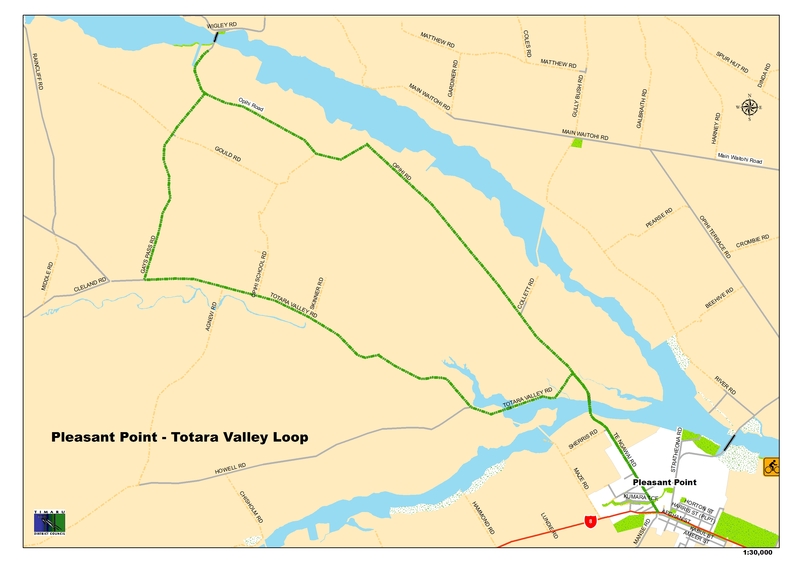 Cross the Te Ngawai Bridge and continue straight ahead to Opihi Road (do not follow the Totara Valley Rd to the left). Continue along Opihi Road, turning left into Gays Pass Road. A great optional stop is the Opihi Vineyard and Café, on the corner of Gays Pass and Gould Rd. Continue along Gays Pass Rd to Totara Valley Rd. Turn left into Totara Valley Rd and follow until you connect again with Te Ngawai Rd. Turn right into Te Ngawai Rd and continue back to Pleasant Point.